Nationwide Lifts backs up every one of its products with America’s Best Warranty, proof that we are as dedicated to serving your needs as we are confident in the superiority of our stair lifts. Our 10-Year Warranty offers the most comprehensive coverage out there, including a 10-year warranty on all mechanical parts, because, quite simply, we’re that proud of our products, our professional installation, and our service. When you purchase an Indy Stair Lift, we don’t just promise you’ll love it — we guarantee it. Warranty calls are to be performed during regular working hours of regular working days unless required by an emergency condition, at the discretion of Nationwide Lifts. This 10-year warranty applies to the Indy Pinnacle, Indy Lux, and Indy Curve. The Product Warranty begins on the date the product is shipped. The Labor Warranty begins on the date the unit is installed. Purchase price for product must be paid in full for Nationwide Lifts to release parts and provide service under this warranty. Required warranty parts will be shipped at the expense of Nationwide Lifts by UPS ground. Expedited or air shipment of parts is available at owner’s request and expense. This warranty applies to the repair or replacement, at option of Nationwide Lifts, of parts that fail due to defective material or workmanship. 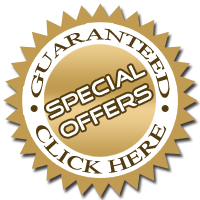 This warranty is provided to the purchaser of the product and is not transferable. The warranty does not cover labor charges for the removal, repair, or replacement of warranty parts after 1 year from original installation. This warranty only applies to products installed and maintained by Nationwide Lifts. The warranty is void if regular inspection and maintenance of product is not being carried out by a Nationwide Lifts representative at least once every 12 months. It is the Owner’s responsibility to keep records of all such service. – Cosmetic components that are subject to normal wear and tear, external forces and/or misuse. This includes paint, upholstery, trim, etc. – Malfunction or damage to product caused by accident, misuse, abuse or vandalism, lack of proper maintenance, neglect, improper adjustment, modification or alteration, structural condition of building, overloading, or acts of God (i.e. lightning, flood, etc). Nationwide Lifts disclaims liability for any personal injury or property damage resulting from the operation of a product that has been modified from the original design. No person or company is authorized to change the design of this product without written authorization by Nationwide Lifts. 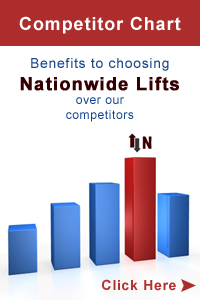 Nationwide Lifts assumes no responsibility for expenses or damages, including incidental or consequential damages.